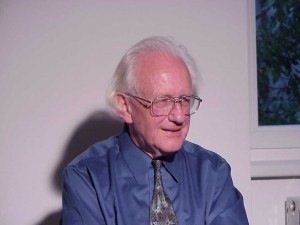 In this column, Johan Galtung, rector of the TRANSCEND Peace University and author of ‘The Fall of the US Empire – And Then What?’, writes that the future holds many possibilities for humankind, from the rise of U.S. global and domestic fascism on the one hand, to a multi-cultural world with Western-Marxist, Islamic, Buddhist, Japanese, Chinese, Polynesian and Ubuntu development models on the other. Those who surf on positive trends – alternative economies, democracy with transparency, mediation and nonviolence - will rise. The others will sink. BUCHAREST, Jul 22 2013 (IPS) - Future studies, like peace-development-environment studies, is an interdisciplinary, international effort to get a grip on key issues, divided into ‘preferred futures’ – utopias – whose? ; ‘predicted futures’ – forecasting – who does it, for whom? ; and ‘future practice’ – scenarios bending the predicted toward the preferred – by and for whom? The title of Ravi Morey’s book ‘Looking Backward: 2050-2013’ captures future studies in a nutshell: exploring intermediate stages between a fully democratic world government and our 2013 present. The road may pass through a bankrupt United States, bailed out by a democratic China in 2025. Some may argue that is already happening, with China (more democratic than the West knows) being creditor No. 1, and the U.S. (more bankrupt than it admits) being debtor No. 1. Respectively, they rank first and 190th among 190 countries. * Economically: a living wage for everybody on earth, eliminating misery, an end to flagrant inequality, and a new economics, focused on the reproduction of human beings and nature; not on book-keeping writ large and capital-driven markets. * Militarily: a change from the winning-victory orientation to a solution-orientation for the underlying conflicts, by mediation-dialogues for conflict resolution, trauma reconciliation, empathy with the worldviews of others, building cooperation for mutual and equal benefit. * Politically: a high level of autonomy for local authorities, for the 2,000 nations inside the 200 states, for states, for regions, for the global level: through federations and confederations-communities. * Culturally: a multi-cultural world with Western-Marxist, Islamic, Buddhist, Japanese, Chinese, Polynesian, Ubuntu development models on par with Western neo-liberalism; for humanity to pick the best from them all. What Can We Learn from Current Conflicts? * Socially: the feminist revolution, a gift from the U.S.; the incredible improvement of our health, making 90 years of quite healthy life normal, as well as couples spending 60 or 70 years together – non-smoking being a key factor. We live in somebody’s utopia. But much of it came as a surprise due to bad forecasting: good at trends, bad at events. For the latter, extrapolation is insufficient: a deep understanding of the system as a whole and internal contradictions, dialectics – in short, 2,500 years of Taoist epistemology – is indispensable. Failing to do so, Western life becomes very dramatic, one shock after the other. A way out: in 1970 9,000 people in 20 countries were interviewed about their Images of the World in the Year 2000. The more economically developed the country, the more pessimistic their images: environmental problems, inequality, the breakdown of families, violence. Maybe common people know where the shoe pinches and elites do not? Their predictions when the Year 2000 (Y2K) came were by far superior to the experts’. * Culturally, the decline of Western Christian-secular culture, the rise of Islam and conflict between those two universalising worldviews. Thus, the prospects for “peace with our futures” is mixed. But surf on positive trends: the search for alternative economies, the decline of the state system and the U.S. empire, increasing use of mediation and nonviolence, widening circles of mutual rights and obligations, the decline of Western arrogance. Fight inequality, boycott companies with CEOs making more than five to 10 times what the workers earn, switch to cooperatives, transfer accounts to savings banks, introduce a sales tax of five percent for financial transactions to finance a living wage and to put a brake on insane speculation, increase the quantity and quality of mediation and nonviolence all over, fight for democracy with transparency, dialogue, petitions, referenda, pick the best from worldviews, both-and, not either-or. Islam offers togetherness and sharing needed in the West, the West offers diversity and freedom needed in Islam; go for mutual learning.